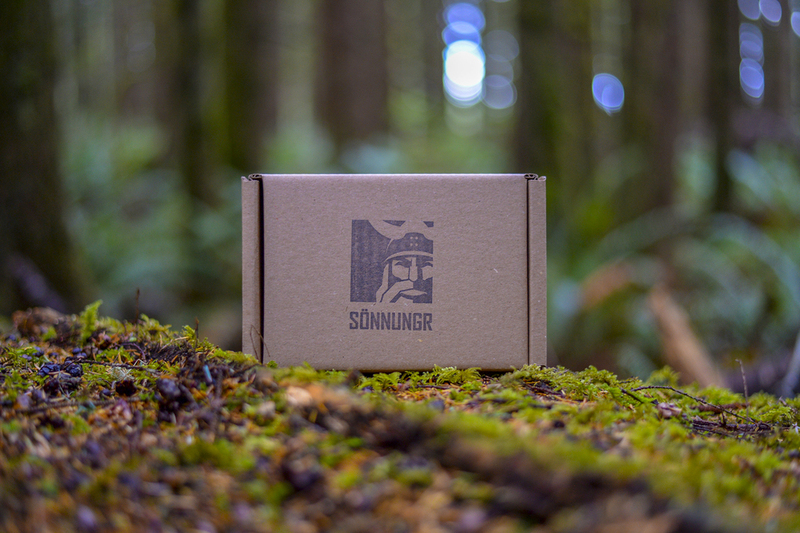 Veiðilaug | Sönnungr Viking Co.
"KEMBÐUR OK ÞVEGINN SKAL KÆNNA HVERR." 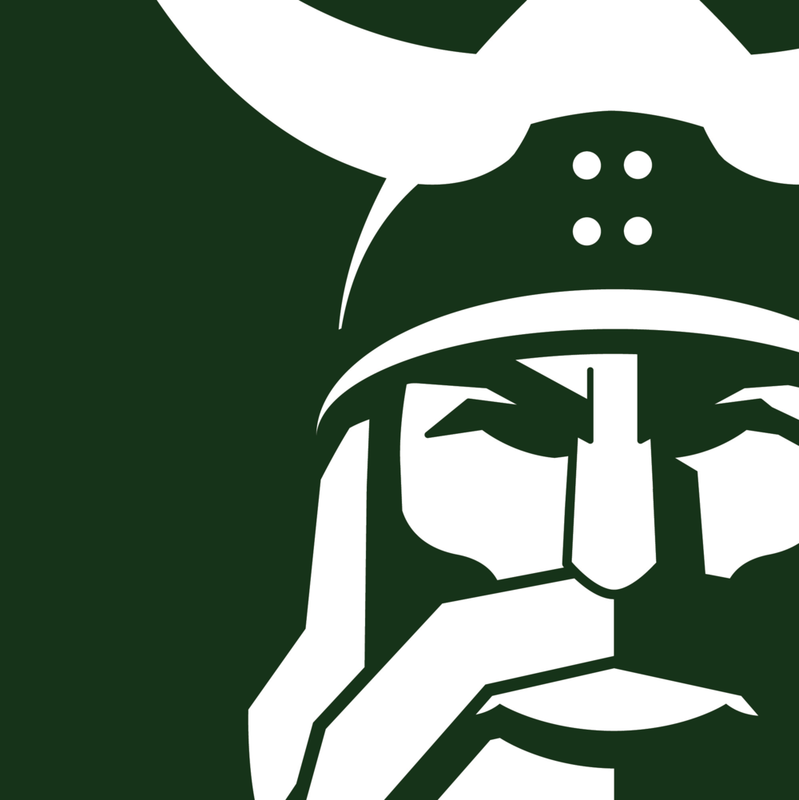 "COMBED AND WASHED A VIKING SHALL BE." 100% NATURAL. NO PRESERVATIVES. NO ARTIFICIAL COLORS. NO SYNTHETIC ELEMENTS. Traditional nordic ingredients. All naturally extracted without the use of chemicals. 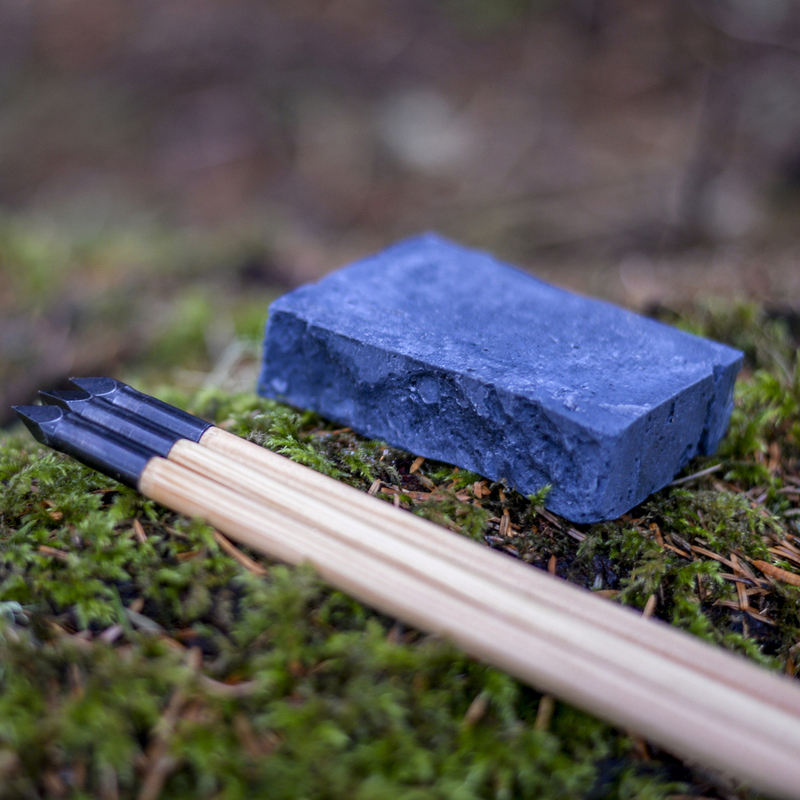 Handmade with animal fats, ashes, salts, as well as charcoal. Cured in an oak cast. NO SCENT. MINIMAL LATHER. HIGH GRIT. DETOXIFYING. That's right. This soap is so unscented that it doesn't even smell like soap. This means keeping clean in the bush won't lead to the entire ecosystem smelling you. Or to bears thinking you are dessert. The animal fats, a traditional part of ancient soaps, minimizes lather. 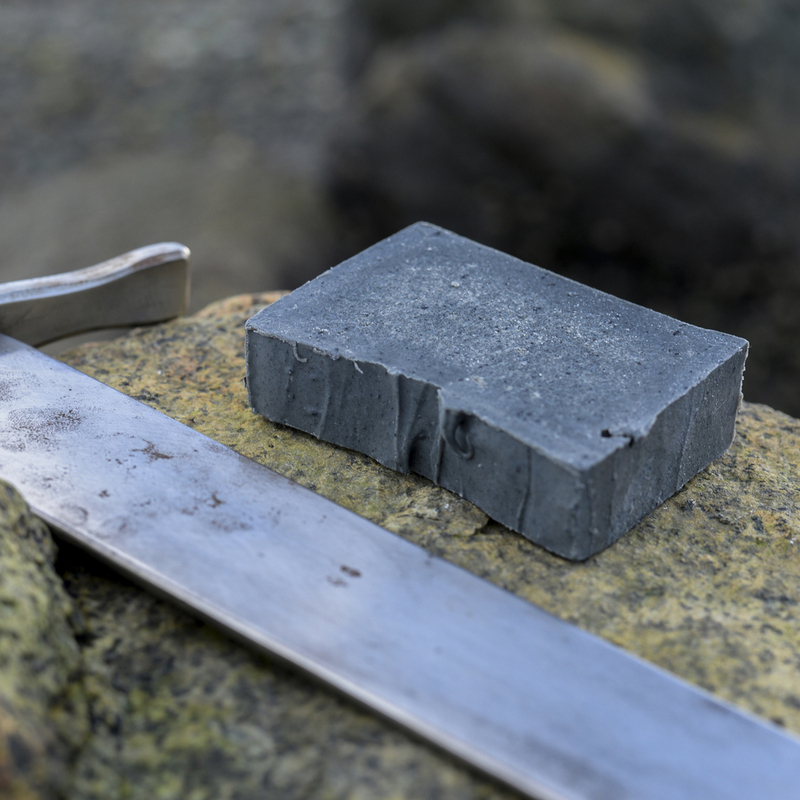 The ashes, another key ingredient of Viking soaps, exfoliates your skin. 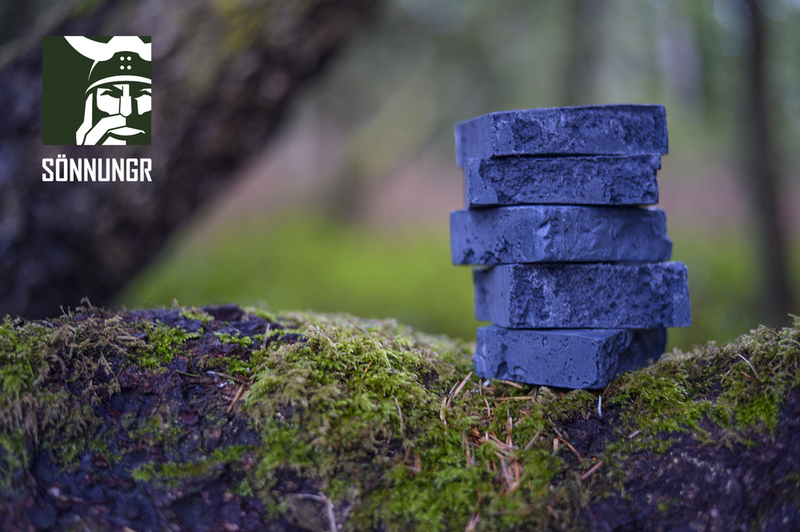 The charcoal provides grit*, absorbs scents, odors, and unwanted substances, while detoxifying your skin. 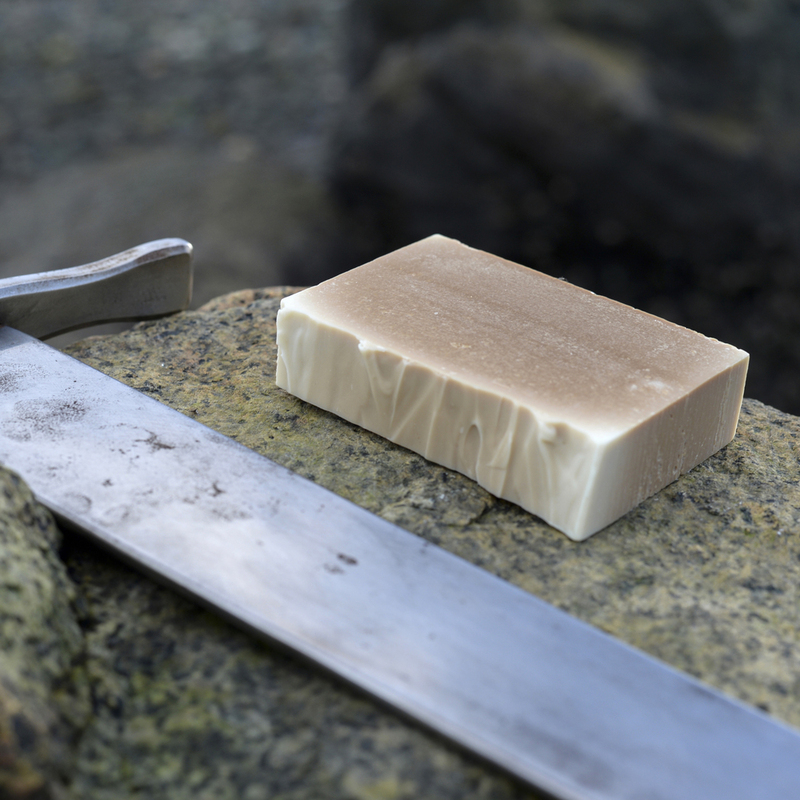 Veiðilaug (Viking Hunter Soap) is consistent with soaps used during the Viking age: It is cut rough and unevenly, it is rougher, more basic, and it is far less refined than modern soaps. Shape, size, color, and level of grit* may vary. * Grit may be abrasive to skin. Test tolerance before applying directly to skin. Avoid contact with mucous membranes, including eyes. Minimal packaging. No plastic labels that will take 1 million years to decompose(instead, product label/info sheet available as PDF). No extra box to discard. 100% recycled paper wrap. 100% recycled shipping cardboard box, wood chips, and biodegradable tape (with all elements usable as fire starter).